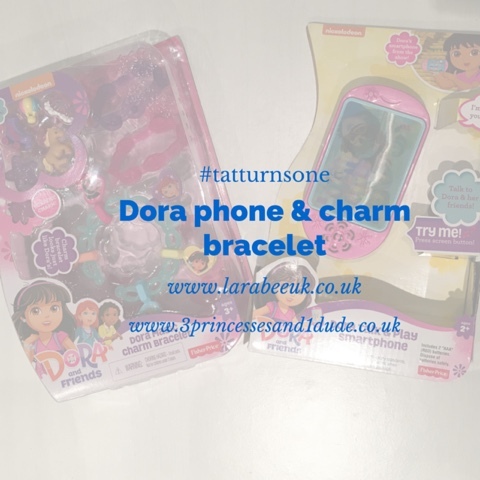 Back in the summer I reviewed some Dora toys for the Dora sing along campaign, for our final #tatturnsone giveaway we thought these would make a great prize especially for the little ladies in your life. I hope you've enjoyed our week of giveaway's, our first one ends tomorrow so keep an eye out of you entered, you just may have won! I'd like to thank all the companies who worked with us and a big thank to you my fab co-host Becky for her hard work on this little collab for #toddlerapprovedtuesday's first birthday.